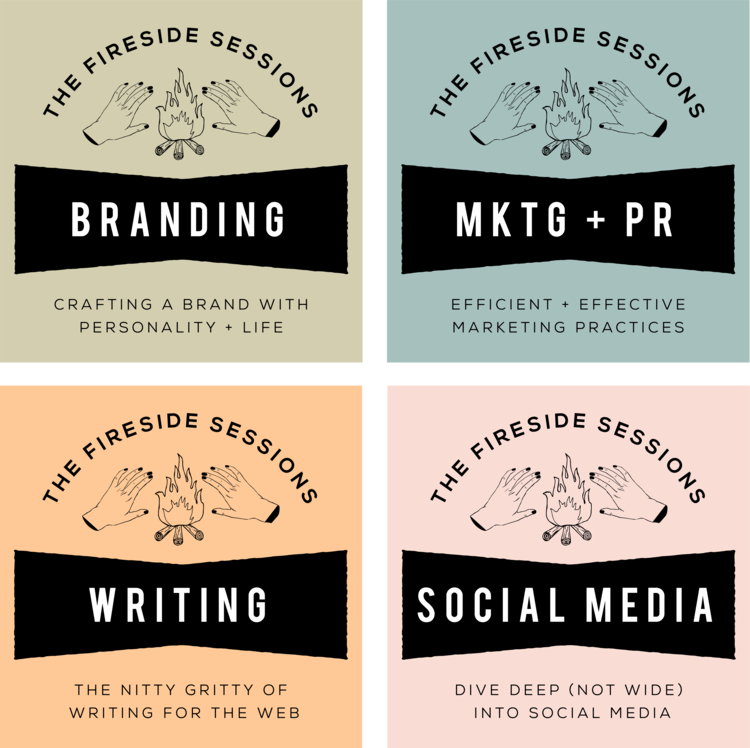 Last spring I worked alongside the ladies at Campfire and Co. to create and host a series of workshops aimed at entrepreneurs, solopreneurs, marketing professionals and small businesses called The Fireside Sessions. They focused on four main topics: Branding, Marketing, Writing and Social Media. We had a great time at these workshops and met dozens of amazing professionals and business owners in the Richmond area and got great feedback from our participants. Then in July 2017, myself and Christie Thompson of Campfire & Co. took the branding session to the Virginia Main Street Conference in Winchester, VA to speak to tourism, commerce and economic growth experts across the state to help them create a brand for their towns, main streets and cities. But the question we kept getting asked was when were we going to run the series again and if we would be branching outside of Richmond. We put our heads together and came up with a "Back to School" workshop series that will be held over two and a half months in Norfolk, VA.
We are also excited to be featuring some special guests at two of our workshops: Mary Kaufman of Bluebird's Garage will be discussing how to bring visual beauty and cohesiveness to your business's brand in our Branding workshop on September 21st and Jesse Scaccia of AltDaily and Norfolk's NEON district will discuss how small businesses should approach the press and journalists in our PR & Marketing workshop on October 5th. Like our first series, these workshops can be taken individually or as a set (the first four people to purchase all four sessions will save $25). Each session will be held on a Thursday afternoon from 4pm to 6pm and will include about an hour and a half of workshop instruction complete with a take-home workbook, small gift and light refreshments, as well as 30-45 minutes of open networking and relaxing time after the workshop is complete. The Corner Gallery's deck offers great views of Knitting Mill Creek and we are looking forward to spending some beautiful fall evenings out there with new friends. Take your business back to school this fall. Join us at any of the four upcoming Fireside Sessions to get creative, meet other business owners, expand your knowledge and most importantly - to have a little fun (and some free wine)!